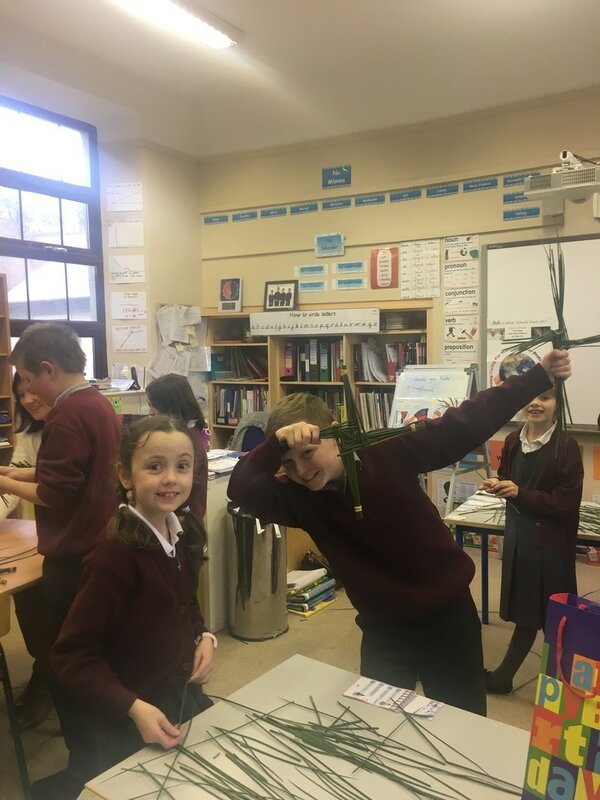 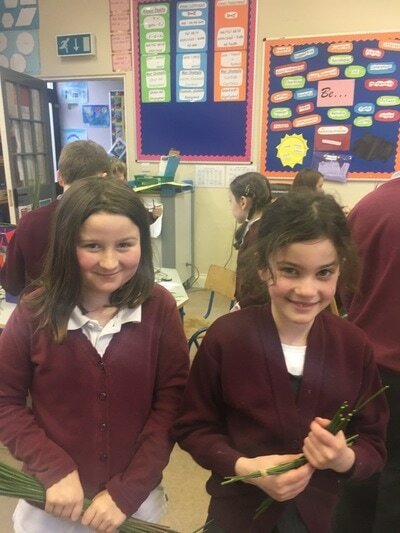 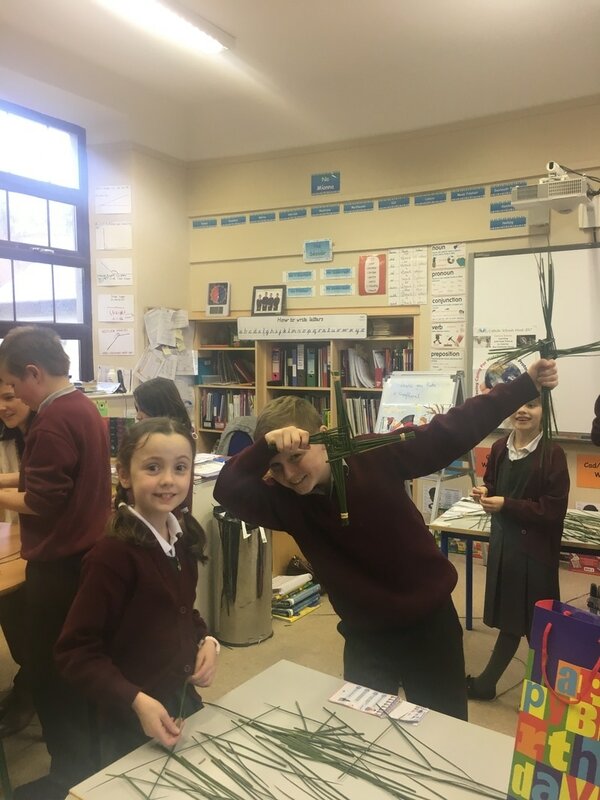 St. Brigid's Day was part of Catholic School's Week this year. 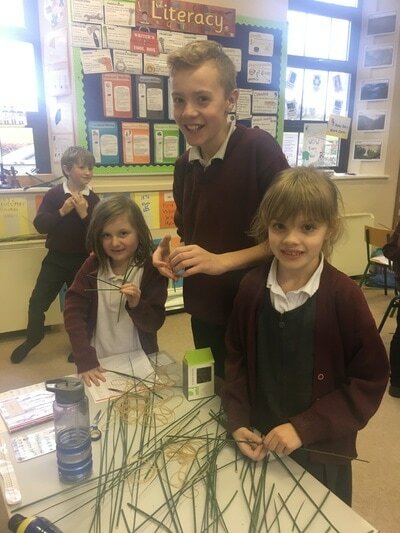 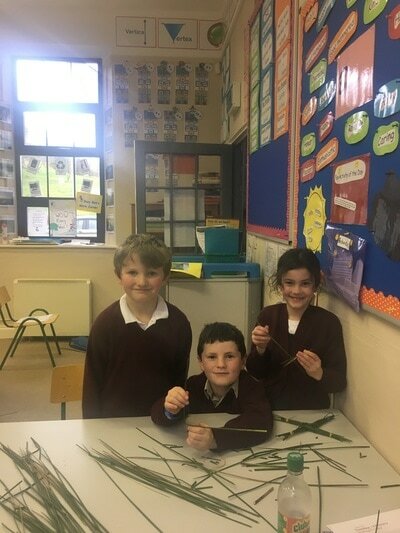 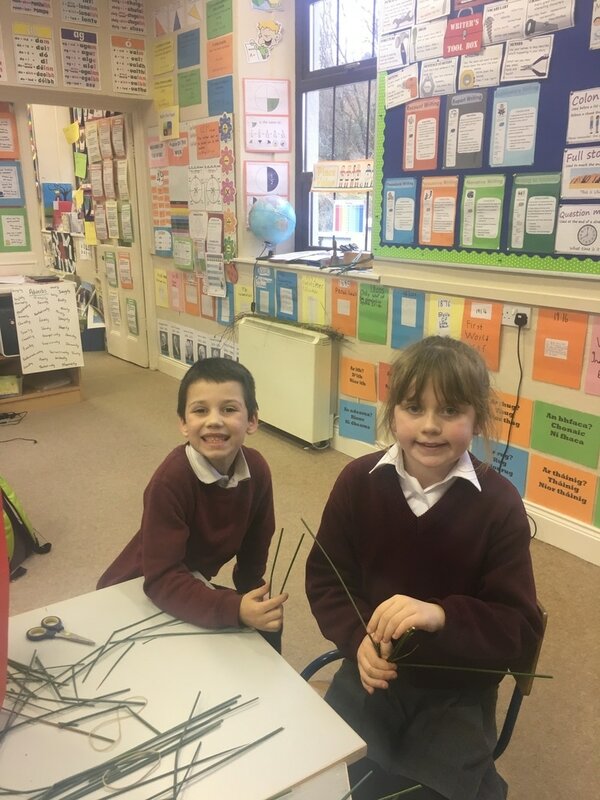 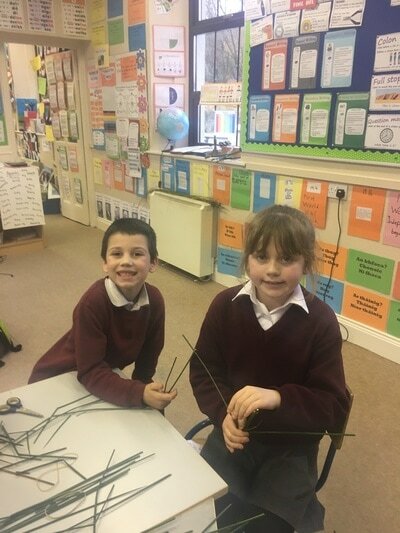 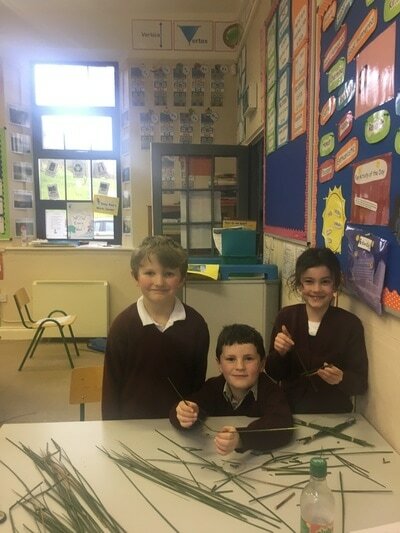 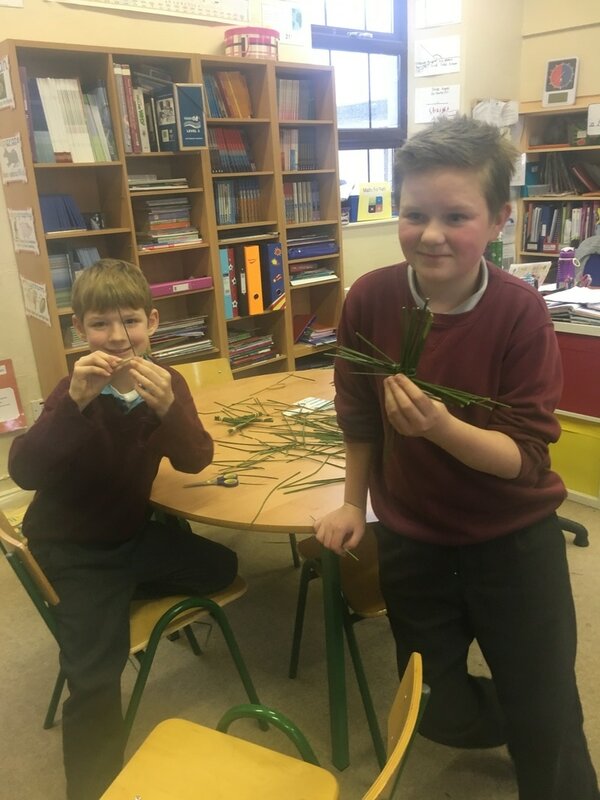 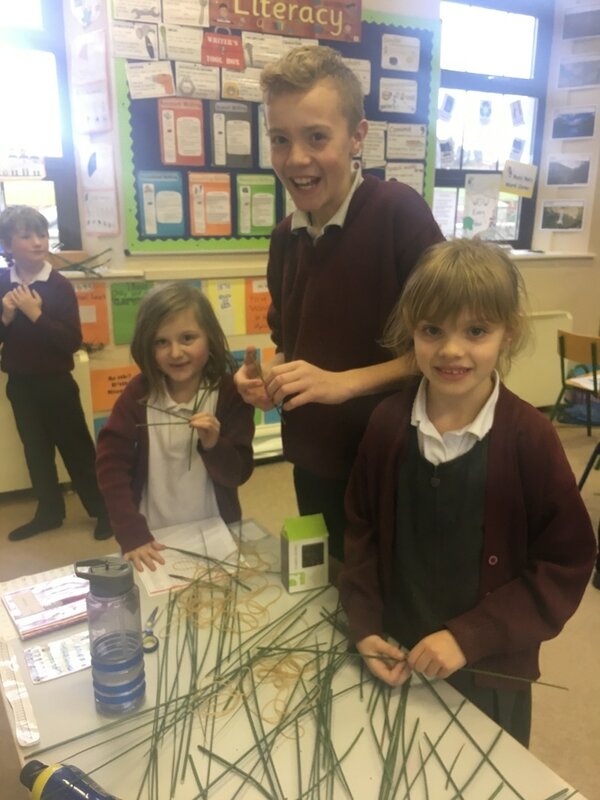 In Barnacogue, we made Brigid's crosses with rushes. 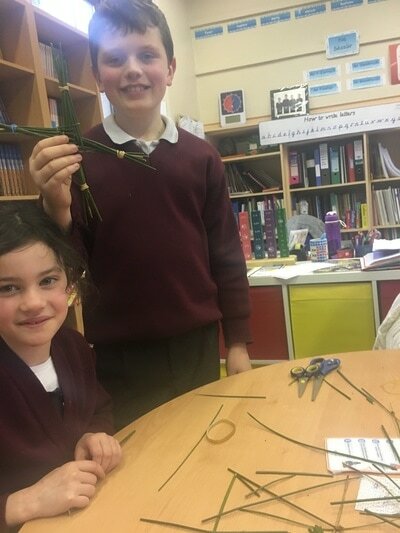 St. Brigid made these crosses to show people a cross and to teach about the love of God, Jesus and the Holy Spirit. 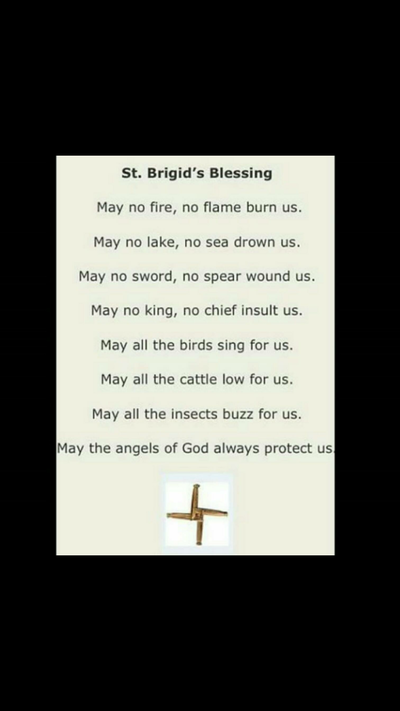 St. Brigid was born in County Louth and set up her Convent in County Kildare. 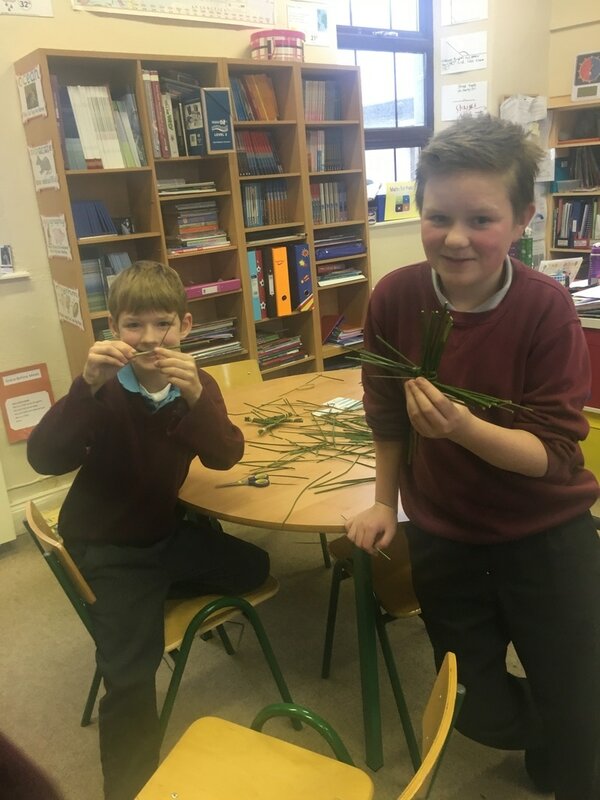 Thank you to the Taylors and Kennedys for the rushes.